IT pros never stop learning, and everyone learns differently. That’s why the CBT Nuggets Way has five easy steps for every learning style: Watch. Learn. Connect. Do. Conquer. Learn more about CBT Nuggets Business Solutions. During its early years, Linux was a pain. It didn’t play well with lots of hardware and software compatibility. And its commands were a high barrier to entry for most people. But today, you can find Linux in about every server room, from Fortune 500 companies to school districts. If you ask some IT pros, they now say Linux is easier to use than Windows. While Windows is still the preferred enterprise OS, it might not be the solution for every organization. Here’s a look at how Linux is easier to use than Windows. A computer without an OS is nothing but a pile of metal and silicon that repeats an endless and ominous chant of “operating system not found.” Installing either Windows or most modern Linux distributions is pretty straightforward. Boot from the CD, press “Next” a few times, name it, and wait. After that things start getting tricky. Any IT professional who has installed Windows from scratch knows finding drivers can be an exercise in patience. It’s a classic Catch-22. Windows doesn’t have your network adapter drivers. So, you have to go online and download them. However, you can’t get online because you don’t have network adapter drivers. Once you’re online, you struggle with the support website (good luck) until you find downloads for your model. A dozen installers later, you’ve got everything. 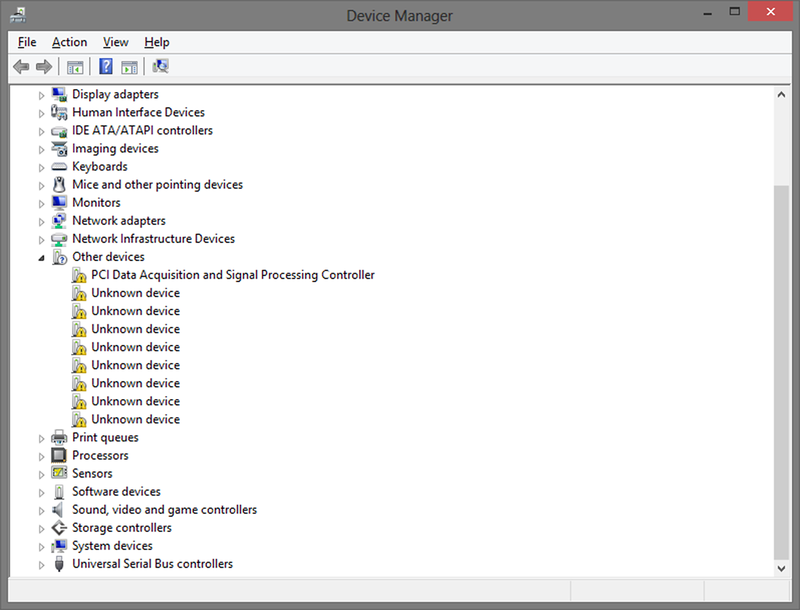 Or you’re faced with a couple (or more) “unknown devices” in device manager. What are they? And how many more computers do you have piled up to load? Yikes. Apologies if that scenario invoked PTSD, but we had to set the scene. This next one might be more painful though. Go back in time 15 years and install Linux. Drivers were the least of your worries. Getting to a command line was a real victory with the right (or wrong) distro. Such a ubiquitous reputation for pain inspired more than one classic xkcd. With the likes of Linux distributions such as Ubuntu, Mint, and others, installation now is a breeze. Autoconfiguration has matured. Drivers? They work, if you even need them. For many Linux distributions, drivers aren’t necessary. The best part is that most Linux installations won’t require a reboot, unlike Windows. Linux installations also take less time than Windows. In certain instances, much less time. Some people reported that while setting up Windows 10, three hours passed until they could use their PCs. IT pros who take the time to set up and configure their Linux server correctly will be rewarded with stable machines that almost never require rebooting, service restarts, or maintenance downtime. Every OS, once installed, needs updates. Ah, updates… it’s like we want to pour more gasoline on the raging fire we started by discussing drivers. Google “Windows 10 update break” and watch the flames grow. Every major Windows 10 update seems to break more than it fixes. Then there are weekly updates. If you’re lucky, that percentage is going to reach 100. Don’t get too excited. You’ll need a reboot or two. Don’t worry. Your jobs are safe. Tickets about failed updates, broken updates, and updates to updates are going to keep you busy and employed. What is Linux’s response to this delightful weekly routine? Most Linux distros ask to install updates as well, but they’ll install in the background while you keep working. There’s definitely no forced updates. You can choose when you want updates to occur. You’ll only need to reboot for significant kernel updates, about every three months or so. Many Linux distros make it easy to update. For example, Ubuntu can be updated directly from the command line with a simple sudo apt-get upgrade. This allows an Ubuntu system to perform a system upgrade of OS components, software packages, and applications. One line is all it takes. There are many ways to learn new IT skills. But only one CBT Nuggets way. Learn more about CBT Nuggets Business Solutions. How much do you like using Windows? Is it intuitive to find and run an application or where to change a particular setting? Does the OS get out of the way when you need to do work? Or is it a massive pain, navigating back and forth through layers of menus to find something, and throwing popups about how much more awesome Edge is than Chrome? They say good CGI in movies shouldn’t be even noticeable. It should look natural and handled with enough restraint that it doesn’t overshadow the plotline. An OS should be the same. It should look nice and feel natural, and exist to support what you need to do, not draw attention to itself. For many IT pros, the latest OS is comparable to rough CGI. Even as a daily driver, how often do you say, “Where did they move this setting?” or “Why did they jack up the Start Menu?” Or worse, “Why is Candy Crush there?” All these points combined make for bad UX. In fact, Windows 10 is dubbed “user-hostile” by some Linux supporters. 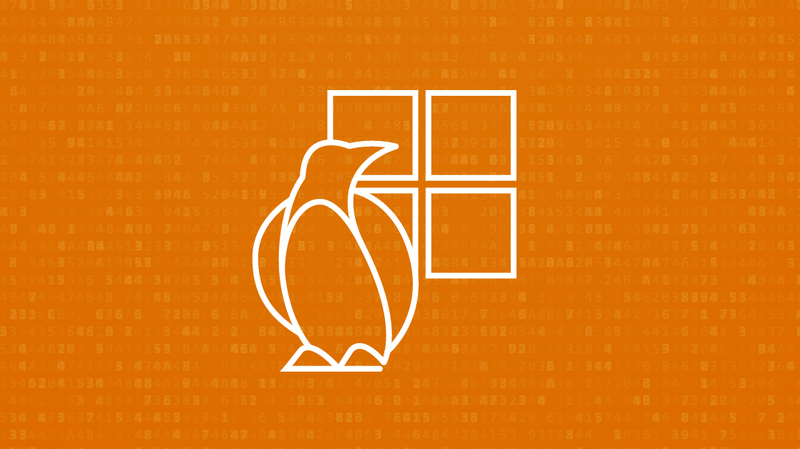 If Microsoft has taken a sledgehammer to their UX, how does Linux fare? In the old days, the command line was it, none of this fancy GUI stuff, which limited Linux adoption. Its graphical desktop environments did come around though, with the likes of GNOME and KDE leading the pack. Let’s look at Ubuntu as the de facto “I want to get my feet wet before jumping in” Linux distro. Early versions were a bit less attractive, but today the GNOME-based Ubuntu is clean and modern looking. Running a program is easy. Click the application launcher (bottom left button, the nine dots) and there’s everything you need. Need to install an app? Hit that orange shopping bag, and it’s one-click to install anything. One Linux developer put it well, saying, “Never ever break the user experience. This point is crucial…what is important is the users, and to never break their expectations.” Linux’s open nature lends itself to being very customizable. Users can choose a Linux distribution that best fits their needs and comfort level. How does this translate to your IT department if we’re talking about making an OS switch for all your users to Linux? A painless install is a breath of fresh air. Fewer calls about broken updates? Ahhhhhhhh, sweet relief. No more swimming in menus and pop-ups and tiles? Blessed freedom. When the rubber meets the road, if it can’t produce a good ROI for your department, then what’s the point? Licensing costs may be cheaper (free is definitely cheaper), performance and stability may be better (it is). However, there’s one prime metric to look at: Does your incoming ticket count drop? If users need less help, either due to actual problems or simple training issues, than that points to a pretty good UX improvement, a smoother running business, and tons of your time back. It’ll be a big project. Do lots of research, pilots, and user training. The rewards you’ll reap for your department and your users are going to be rich. You might even find the transition to Linux much easier than once expected.